Book & CD-ROM. This text has been used in the form of class notes taught to graduate and senior undergraduate students in chemical and mechanical engineering at Illinois Institute of Technology for the last three decades. The computer codes, particularly the Navier-Stokes equation solvers, have been continually updated by several Ph.D. students over the last decade. The theory of fluidisation and multiphase flow is based on the new paradigm that emerged in the 1980s as granular flow. Commercial CFD codes, such as FLUENT, already use this theory. However, this theory is not yet complete. Hence the programs described in this text can be easily updated as new theory is developed. For example, the codes can be extended to anisotropic and multi-size particle flow based on the emerging kinetic theories. Hence this book should be useful to research engineers in industry, to graduate students and to professors teaching a first course in computational techniques. 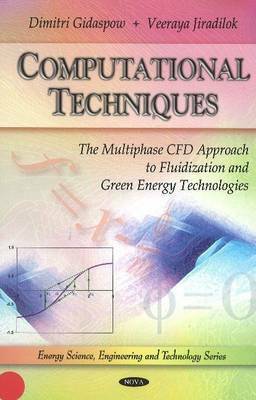 In this book the authors illustrate how their code as well as the commercial codes can be used for the design of green energy technology processes.